A clever rethink made Mary and Edward Holt’s confined kitchen feel light and spacious – without an extension in sight. 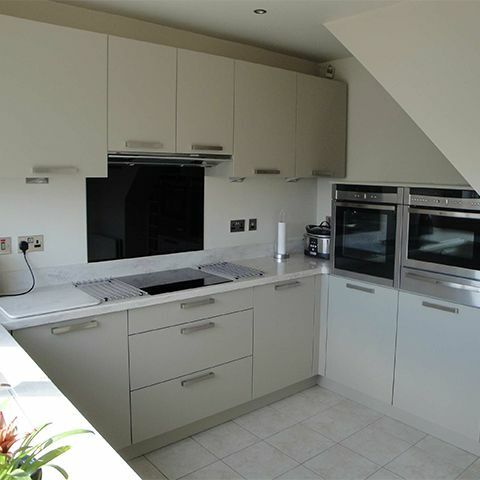 Now unrecognisable from its original appearance, radical alterations to the three bedroom semi in Oldham have resulted in a spacious and practical modern kitchen. It was time for the couple to modify the 20-year-old room into a more modern design. 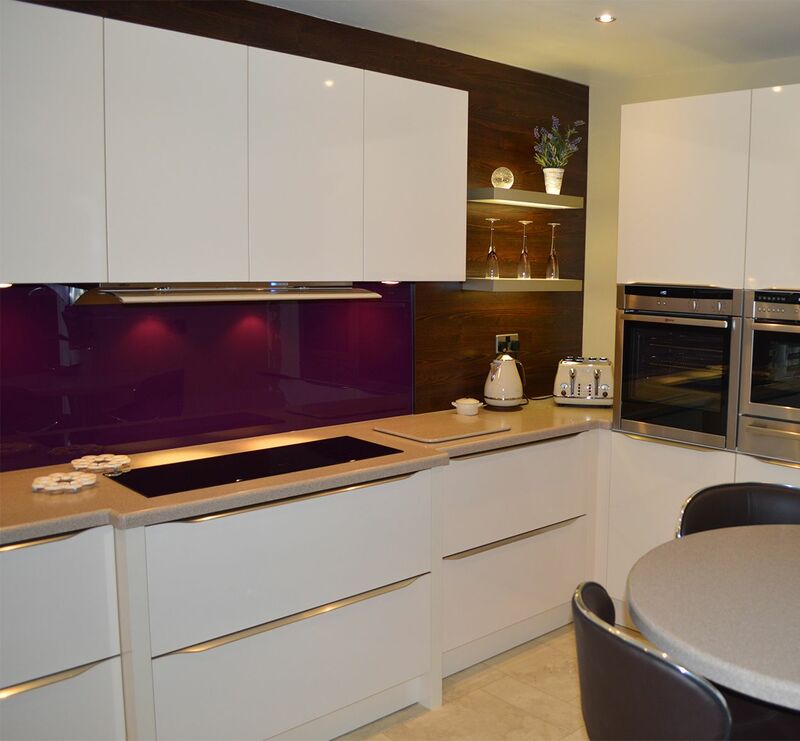 With broken appliances and little space to work in the kitchen, they decided to visit various showrooms across the Manchester area to find a design which best suited their taste. 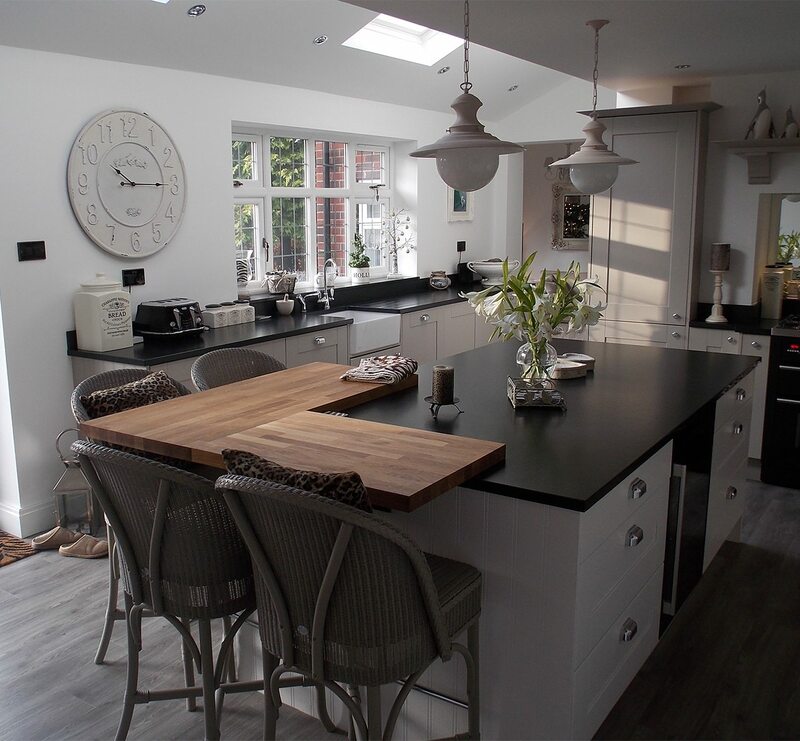 “We tried several companies but eventually chose Kitchen Design Centre – for several reasons.” said Mary. “They really seemed to care about our home and what would work best for our lifestyle. The chosen kitchen was part of Kitchen Design Centre’s brand new German range – in pebble grey. 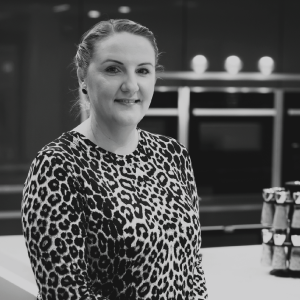 Suzanne, designer at Kitchen Design Centre said: “I designed the kitchen in a U-shaped, primarily so I could save space and fit in all the latest appliances. 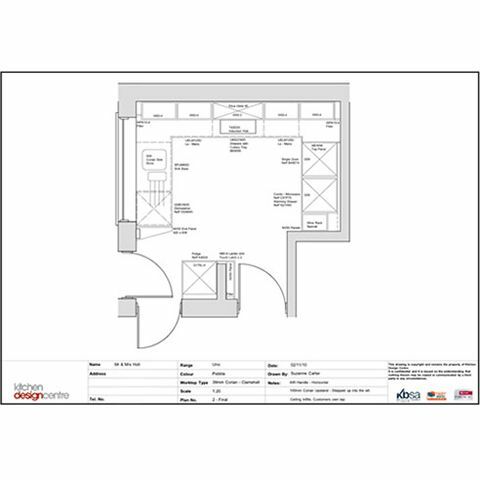 In order to save space, Suzanne came up with several design ideas to utilise the space. One example of this is the wine rack under the stairs – designed to fit perfectly alongside a slanted wall. 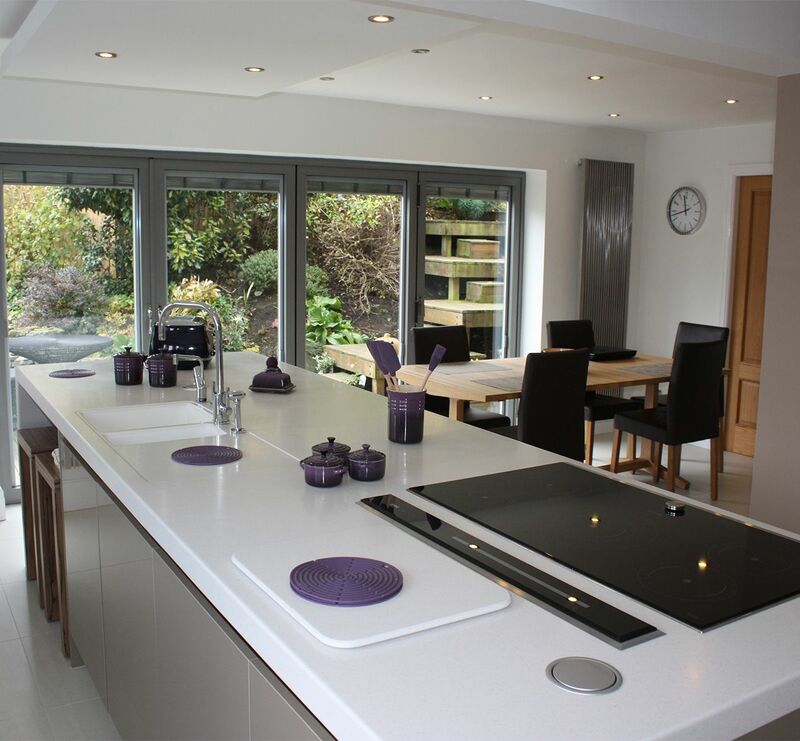 Corian was chosen for the worktops, rather than Granite, because the material is easy to clean and durable. As with all modern kitchens from Kitchen Design Centre, the kitchen feels bright and airy with new windows, lighting and an all-new modern feel. Fitted with the latest cutting-edge technology, the modern German-style kitchen boasts a combination microwave, oven, warming drawers, induction hobs, integrated fridge, freezer and dishwasher. Suzanne said: “It was a fairly straight-forward design. Space saving was the key to this design – as well as and working alongside Mary and Edward to meet their expectations. With Suzanne’s help, Mary and Edward have a practical, space-saving designer kitchen installed. “I can’t praise them enough,” said Mary. “They are such a joy to work with and I love my new kitchen. “One element that really impressed me was the way Suzanne took my height into consideration. All storage and appliances are designed so they are at my level – so I rarely have to bend down. "Both the designer and the fitter were fantastic – attentive to our ideas and very helpful and innovative in coming up with practical solutions to save space." “We discussed what they wanted and I went through several ideas with them until they were both happy. 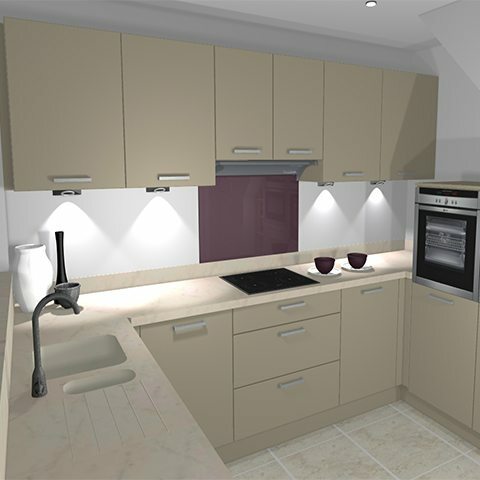 Showing the couple 3D images meant they could visualise how the kitchen would look in reality and could make decisions based on that."